Because the administration had not publicly disclosed the precise benchmarks it is applying to assess developments, nine leading Sudan advocacy organizations co-authored the report ‘Clear Benchmarks for Sudan’ in January 2010. 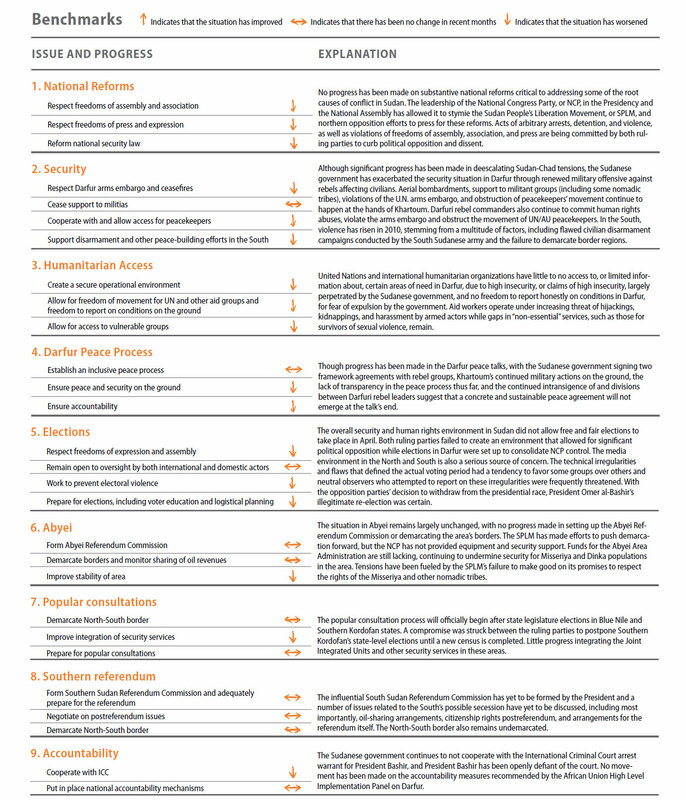 Based upon the rigorous analysis of leading indicators across nine overarching categories of benchmarks, the Enough Project, the Save Darfur Coalition, and partners developed the following assessment of the amount of change or improvement that has been observed in key areas over the last six months. A more detailed examination of the factors driving each of these criteria is spelled out on the following page. President Obama and Secretary Clinton must own Sudan policy far more directly, and actually implement pressures and incentives where appropriate or face growing risk that violence in Sudan will spiral out of control. 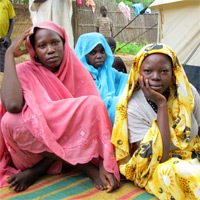 State Department, Remarks on the Sudan Strategy, October 19, 2009. The White House, Statement of President Barack Obama on Sudan Strategy, October 19, 2009.